I can still feel the weight of his body and the tightness of his skin. I can hear his crying and whimpering in my ears. I can still see the fear and pain in his eyes. But today, all I hear is silence and all I feel is emptiness. Just days ago I was holding this boy in my arms and praying for a miracle. I remember the little song I used to teach my children when they were young – that God always answers prayer. Sometimes he answers “yes,” sometimes he answers “no,” and sometimes he answers “wait…wait…wait,” but God always answers prayer. But as much I believe that to be true, this was not the answer I was looking for. I just received news that Kevin passed away yesterday morning. That little boy who was still breathing days ago in my arms, is gone. I knew full well that this was a strong possibility, but I had hope and I was praying for a miracle. So, what do you do with hope that has been crushed? It reminds me of a story I included in my book, Awake. A few years back, I had some photos on the wall of my office. They were of two boys who had been part of our child sponsorship program. Although the young boys did not know each other, they shared something horrible in common. During the same time period, they both committed suicide. Our help had come too late, and their traumatic childhoods proved too much to bear. I kept their photos on my wall for some time to serve as a reminder, I wanted to “see”…I wanted to remember. If we truly see, then we really can help. We are not going to win every single battle, but sometimes the ones we lose inspire us the most. I will keep Kevin’s photo on my wall and his story will be a reminder to me of why I do what I do and that the impact of our work is great, even in the midst of tragedy. It will be an inspiration to keep going so that for other children, we will not arrive too late, but we will arrive just in time. I found Kevin in a dusty village in Guatemala. The home where he and his 8 family members live is nothing but a dirt floor and pieces of tin, sticks and tarps that make up his roof and walls. At first glance, from a distance, you might think that he is just a chubby toddler, but as you get closer you realize something is terribly wrong. The cancer that is eating up his body has caused his kidneys to shut down and it has been more than a week since he has been able to produce more than a few drops of urine. He is severely bloated from head to toe. I rubbed my hand on his leg and felt the pressure of the fluid building up in his body. It felt like the a balloon when you squeeze it … ready to pop at any moment. His limbs were stiff, unable to bend. His loving sister held him and tried to comfort his obvious discomfort and crying. Back home, this child would have been admitted to a hospital long ago and the fluid would have been drained from his body. But here, local doctors have given up saying there is nothing that can be done. Instead, they want to operate and amputate his leg at the hip – a painful operation that may not even change his condition. As I stood in his home, I couldn’t help but wonder – have we arrived to late? Can this child be saved? Are we simply going to have to watch him die? I’m now sitting on the plane headed back home to my family and children – but my mind keeps drifting back to a little boy who is not even my own, but who has touched my heart. The truth is I don’t know what will happen to Kevin. It is possible that the only thing we can offer him is a comfortable passing. Sometimes you can’t wrap stories up in a pretty packages with happy endings. The reality of life is much to harsh for that. Sometimes all you can do for hope and pray for a miracle. http://noelyeatts.com/wp-content/uploads/2016/02/b-2-300x156.png 0 0 Noel Yeatts http://noelyeatts.com/wp-content/uploads/2016/02/b-2-300x156.png Noel Yeatts2012-07-29 20:38:562014-01-02 15:54:38Too late? Today we rescued a little boy named Kevin from a village. He is only 2 years old and has cancer. His kidneys have shut down and he is so swollen with fluid. He is literally just days from death. The local doctors have given up on him and have said there is nothing else they can do. But that is not good enough. We brought him to the rescue center today, hoping and praying for a miracle. I caught a short clip of little Kevin and his mother and sister riding with us after we picked them up. Please pray for this little boy. He truly needs a miracle to survive. Just when I think my heart can not break anymore, God reminds me that he is in control. Today as we were dedicating the special needs center, I was introduced to a little boy who had just arrived. I was truly not prepared for what I would see. It was possibly the worst and most heartbreaking case I have ever seen. This 10 month old little boy named Jefferson is fighting for his life. The doctors were surrounding him as he lay whimpering on the examination table. His young 20 year old mother stood nearby watching. They had come from the mountains hours away. Trying to comfort him, I carefully picked him up and gently scooped up his head. I could barely hold the weight. His head probably weighs more than three times as much as the rest of his body. But his alert little eyes stared right into mine. His whimpering soon stopped. Like any baby, he just wanted to be held. 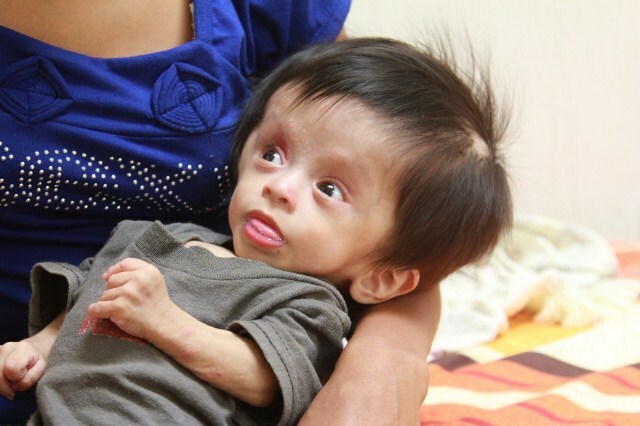 The doctors are still evaluating him but he appears to have hydrocephalus combined with severe malnutrition. He desperately needs surgery but his body is simply not strong enough. We surrounded this little guy in prayer today -praying for a miracle in his life. Because of the rescue center, hospital and special needs home, he is in the best place possible to receive the help that he needs. There is no guarantee he will survive and his road will be long and hard, but now he has hope. Today as I think back on all that I have seen and experienced, I echo the words of Mother Teresa and I understand what she must have meant. What I saw today, was simply too much. It makes me wonder -does God really know how much we can handle emotionally? Does he understand how much I want to run and hide away from the pain? But I think God knows exactly what he is doing. While to us it may feel overwhelming and simply too much at times, perhaps that is just what we need to wake-up. Perhaps that is just what we need to help us admit that the comfortable world we live in is not the real world. Maybe that is just what we need to see that we have been lulled into a deep sleep, and we need to wake up. If feeling emotionally overwhelmed at times is exactly what we need to inspire us to action – then I say bring it on. Keep trusting me with more. Don’t let me grow numb. Keep me awake. Can you ever replace the loss of a loved one? Can you ever take that pain away? I dont think you can ever replace a loved one or that the pain will ever completely go away. But, I do believe you can use that pain and that loss to make a difference. Today in Guatemala, we proved that to be true. The Loveland family has suffered great loss. Their daughter Kelly fought a long and hard battle with breast cancer, and died at the young age of 38, leaving a husband, 2 children and an entire family reeling from the pain. But today, nearly two years later, that pain in slowly turning into hope. Kelly’s parents, David and Carol, were touched by the opportunity to provide a special needs center here in Guatemala. The long-term effects of malnutrition leave many children with disabilities that they will have for the rest of their lives. These children are often discarded, abandoned and abused. They are simply forgotten. In a beautiful dedication ceremony today, complete with the Guatemalan Minister of Health, the doors to the Special Needs Center were finally openend. This home will house up to 50 children at a time as well as provide regular therapy for hundreds more. Hearing the Loveland family share about Kelly was so touching. Kelly was a nurse and they said that she would have loved this place. But, it was Kelly’s aunt, Mayda,that said something so profound and touching. My heart was so touched. I wish you could have been there to take it all in with me … the beautiful new facility, the Loveland family standing together honoring Kelly, all of the special needs children lined up ready to “go home” … it was a moment. This is a special day. 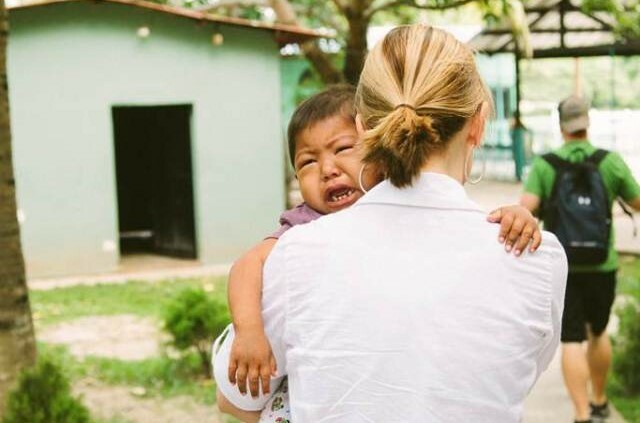 Today we are shouting to the children of Guatemala – the children who have disabilities and special needs – children who have often been neglected and looked over. We are shouting … You are no forgotten! You are not forgotten – and there is hope! I am so passionate about the baby rescue program and this center is an integral part of that. We have to go beyond the rescue and look for ways to make a long-term, sustainable difference in the lives of these children. So many of the children rescued havelong-term needs that without a facility like this would go unmet. The pain that these children feel, both physical and emotional, must be unbearable. But, we are here to turn that pain into hope. What a beautiful story the Loveland family has. they have experienced extreme pain in their lives – but they are turning that pain into hope for these children. I have often said that the greatest injustice of all is not poverty, hunger, disease, abuse, lack of clean water … even disabilities. No the greatest injustice of all is hopelessness. And today we are making things right. So, Loveland family, on behalf of Julio, Danny, MiMi, Estelita and all the other children they represent – thank you for restoring hope! This morning we are headed back to the airport to meet the World Help group. I am so excited to meet these special people who have already invested so much of their lives and resources to help meet some of the desperate needs here. And most of have done this without ever even seeing the need with their own eyes. This week they will get to see the results of all their hard work and sacrifice – lives changed! And I can’t think of anything better than that. I’m so thankful to be here and looking forward to sharing everything that I see and experience. Check back this evening- we will be posting again after we arrive. http://noelyeatts.com/wp-content/uploads/2016/02/b-2-300x156.png 0 0 Noel Yeatts http://noelyeatts.com/wp-content/uploads/2016/02/b-2-300x156.png Noel Yeatts2012-07-26 10:23:312014-01-02 15:59:50Holà! Chapter Five “I Knew You Would Come” from World Help. As I finished writing this chapter in Awake, I was getting ready to leave on a very special trip to Guatemala. 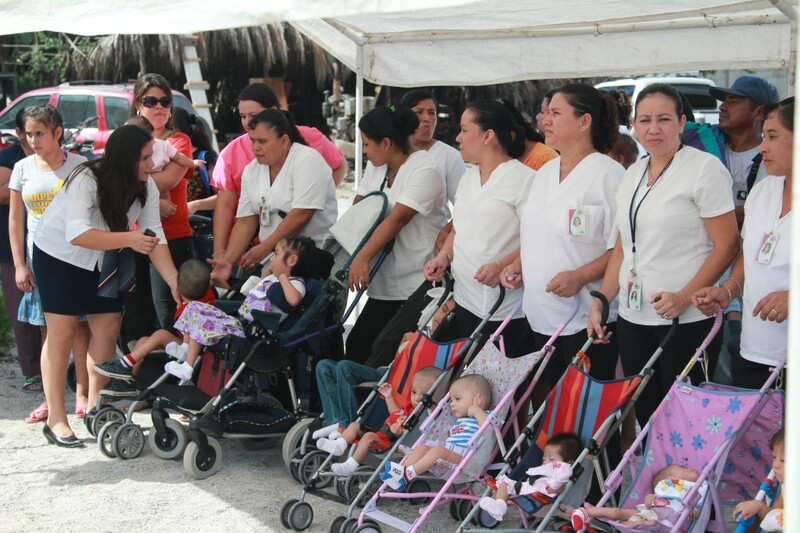 It was the first visit where I would see the Baby Rescue Program in its entirety – from start to finish. I knew we were helping save babies and young children, but I had no idea the lengths our partners were going to make that happen. All I could do was speculate on what I would see and experience. I could only imagine the long roads I would travel, the hills I would hike, the intense heat I would feel, and the beautiful face of the desperately hurting child I would find just waiting for our arrival. In my heart, I imagined they would say “I knew you would come”. This week I am leaving again for Guatemala and I am thinking a lot about the word “rescue”. I believe that somewhere deep inside, we all want to be rescued from something . . . financial troubles, bad relationships, a dead-end job, addictions, etc. And as people of faith, we know what it truly means to be rescued. But what if we believed that we were rescued in order to rescue? We just admitted a baby into the rescue center weighing 2 pounds 12 ounces and is only 6 weeks old. Our team is working very hard to keep this baby alive and need the prayers of everyone at World Help at this crucial moment. This is a family of nine from the mountains and they have already buried two of their children due to malnutrition and contaminated water. Our goal this year is to rescue 1,000 babies. We have already reached more than 10% of our goal – and I admit, we have a long way to go. But, I am committed to telling the stories of these children. I am committed to being their voice. That is all I can do. And, that is exactly what I am going to do this week. I am launching a new blog and I encourage you to follow my daily video posts of this incredible trip. 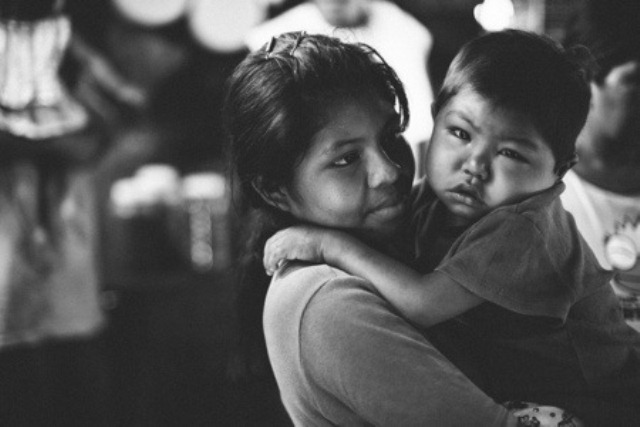 Let me introduce you to the children of Guatemala. They will steal your heart and inspire you to action. I can tell their stories, but I need you to spread the word. Use your voice, share their inspiring stories with your network of family and friends – and together let’s save some lives. 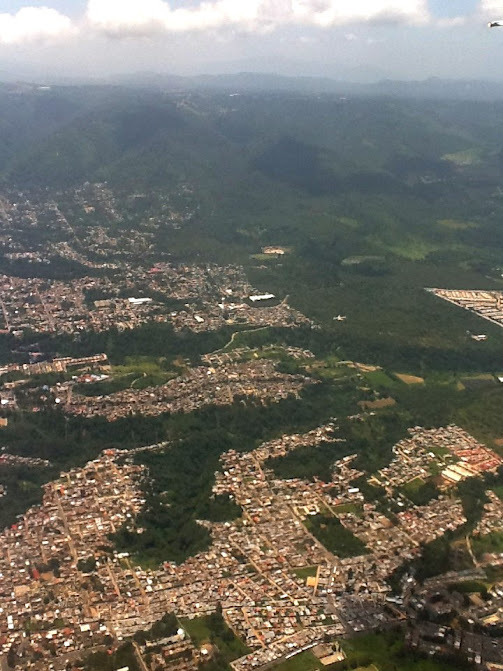 Last week, I travelled to Guatemala with Tiffany Eriksen. Tiffany serves as our Community Engagement Leader at World Help and focuses on the Operation Baby Rescue campaign. This was her first time in Guatemala and it is always exciting to see this country through fresh eyes. Our trip was incredible as we were able to see how our projects are truly transforming lives in Guatemala. Below are a few entries from my blog that I want to share highlighting the lives that we are changing. I arrived at Hope of Life today and one of the first kids I saw was Ulises. You will remember that he was the 16-year-old boy I introduced you to a couple months ago. 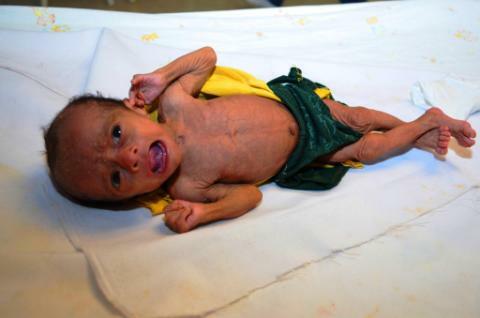 Because of severe malnutrition, he only weighed about 30 pounds when he was rescued . . . at 16 years old. Skin broken with open wounds – his body was literally eating itself. But after being at the rescue center nearly two months, the difference is incredible to see. Watch this short clip of my time with Ulises today. His story is one of hope . . . I don’t think you can ever replace a loved one or that the pain will ever completely go away. But, I do believe you can use that pain and that loss to make a difference. The Loveland family has suffered great loss. Their daughter Kelly fought a long and hard battle with breast cancer and died at the young age of 38 leaving a husband, two children, and an entire family reeling from the pain. But today, nearly two years later, that pain is slowly turning into hope. 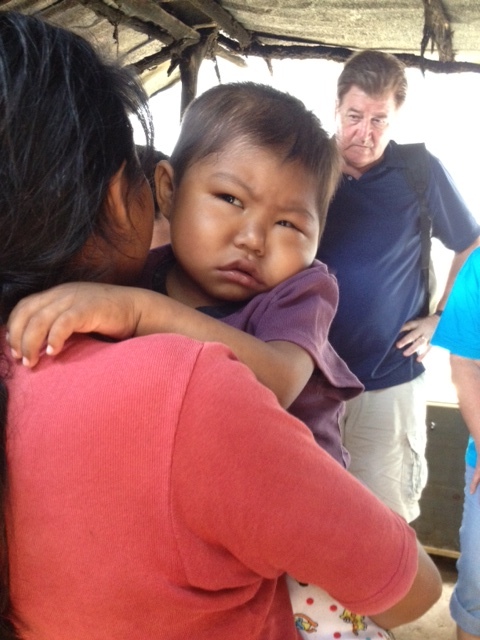 Kelly’s parents, David and Carol, were touched by the opportunity to provide a special needs center here in Guatemala. The long-term effects of malnutrition leave many children with disabilities that they will have for the rest of their lives. These children are often discarded, abandoned, and abused. They are simply forgotten. In a beautiful dedication ceremony today, complete with the Guatemalan Minister of Health, the doors to the Special Needs Center were finally opened. This home will house up to 50 children at a time as well as provide regular therapy for hundreds more. Hearing the Loveland family share about Kelly was so touching. Kelly was a nurse and they said that she would have loved this place. But it was Kelly’s aunt, Mayda,who said something so profound and touching. My heart was so touched. I wish you could have been there to take it all in with me . . . the beautiful new facility, the Loveland family standing together honoring Kelly, and all of the special needs children lined up ready to “go home” . . . it was a moment. This is a special day. Today we are shouting to the children of Guatemala – the children who have disabilities and special needs – children who have often been neglected and looked over. We are shouting . . . You are not forgotten! You are not forgotten – and there is hope! 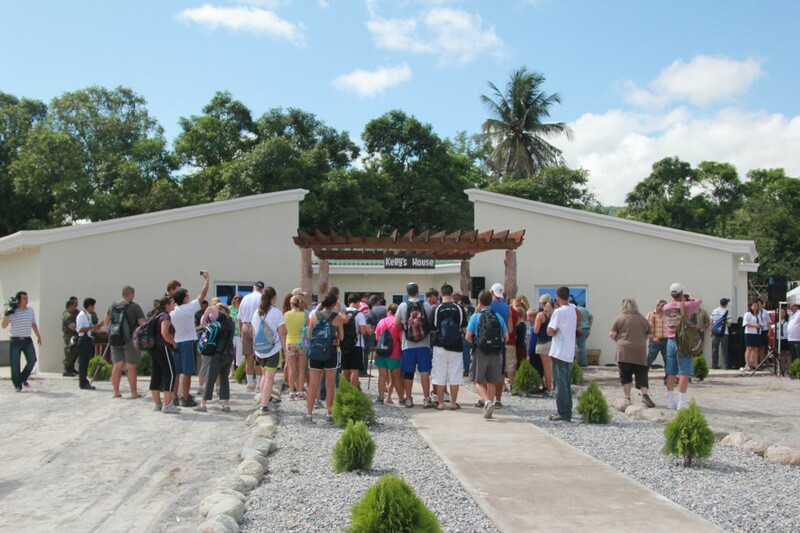 So many of the children rescued have long-term needs that without a facility like this would go unmet. I have often said that the greatest injustice of all is not poverty, hunger, disease, abuse, lack of clean water . . . even disabilities. No, the greatest injustice of all is hopelessness. So, Loveland family, on behalf of Julio, Danny, MiMi, Estelita, and all the other children they represent – thank you for restoring hope! After the ceremony, the nurses brought all of the children in. I knew so many of these children because they are the same ones we have rescued. It was a beautiful sight. Just when I think my heart can not break any more, God reminds me that he is in control. Today as we were dedicating the special needs center, I was introduced to a little boy who had just arrived. I was truly not prepared for what I would see. It was possibly the worst and most heartbreaking case I have ever seen. This 10-month-old little boy named Jefferson is fighting for his life. The doctors were surrounding him as he lay whimpering on the examination table. His young 20-year-old mother stood nearby watching. They had come from the mountains hours away. 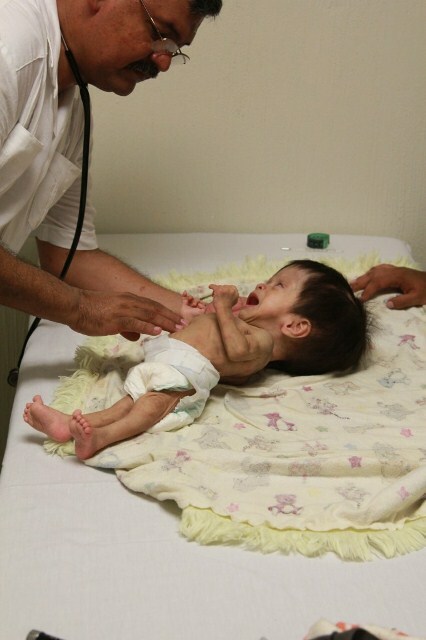 The doctors are still evaluating him, but he appears to have hydrocephalus combined with severe malnutrition. He desperately needs surgery, but his body is simply not strong enough. I couldn’t help but think how serious this condition would be even back home. But here in Guatemala, a child like this almost has no hope. Well, almost . . .
We surrounded this little guy in prayer today – praying for a miracle in his life. Because of the rescue center, hospital, and special needs home, he is in the best place possible to receive the help that he needs. There is no guarantee he will survive and his road will be long and hard, but now he has hope. Today as I think back on all that I have seen and experienced, I echo the words of Mother Teresa and I understand what she must have meant. What I saw today, was simply too much. It makes me wonder – does God really know how much we can handle emotionally? Does he understand how much I want to run and hide away from the pain? But I think God knows exactly what he is doing. While to us it may feel overwhelming and simply too much at times, perhaps that is just what we need to wake up. Perhaps that is just what we need to help us admit that the comfortable world we live in is not the real world. Maybe that is just what we need to see that we have been lulled into a deep sleep, and we need to wake up. If feeling emotionally overwhelmed at times is exactly what we need to inspire us to action – then I say bring it on. Keep trusting me with more. Don’t let me grow numb. Keep me awake. July 28, 2012 – Too late? I found Kevin in a dusty village in Guatemala. The home where he and his eight family members live is nothing but a dirt floor and pieces of tin, sticks, and tarps that make up his roof and walls. At first glance, from a distance, you might think that he is just a chubby toddler, but as you get closer you realize something is terribly wrong. The cancer that is eating up his body has caused his kidneys to shut down, and it has been more than a week since he has been able to produce more than a few drops of urine. He is severely bloated from head to toe. I rubbed my hand on his leg and felt the pressure of the fluid building up in his body. It felt like the a balloon when you squeeze it, ready to pop at any moment. His limbs were stiff, unable to bend. His loving sister held him and tried to comfort his obvious discomfort and crying. Back home, this child would have been admitted to a hospital long ago, and the fluid would have been drained from his body. But here, local doctors have given up saying there is nothing that can be done. Instead, they want to operate and amputate his leg at the hip – a painful operation that may not even change his condition. The truth is I don’t know what will happen to Kevin. It is possible that the only thing we can offer him is a comfortable passing. Sometimes you can’t wrap stories up in a pretty packages with happy endings. The reality of life is much to harsh for that. Sometimes all you can do for hope and pray for a miracle. UPDATE: August 2, 2012 – Just in time . . .
Just days ago I was holding this boy in my arms and praying for a miracle. I remember the little song I used to teach my children when they were young – that God always answers prayer. Sometimes he answers “yes,” sometimes he answers “no,” and sometimes he answers “wait . . . wait . . . wait,” but God always answers prayer. But as much I believe that to be true, this was not the answer I was looking for. I just received news that Kevin passed away yesterday morning. That little boy who was still breathing days ago in my arms is gone. I will keep Kevin’s photo on my wall and his story will be a reminder to me of why I do what I do and that the impact of our work is great, even in the midst of tragedy. It will be an inspiration to keep going, so that for other children we will not arrive too late, but we will arrive just in time. © Copyright - Noel Yeatts | Website Design by Creatiff Co.